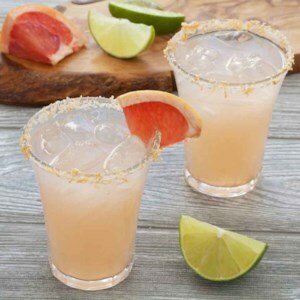 Find healthy, delicious Mexican drink recipes including Mexican fruit drinks and horchata. Healthier recipes, from the food and nutrition experts at EatingWell. 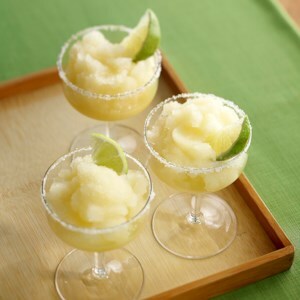 Find several, delicious Margarita recipes from the food and nutrition experts at EatingWell. 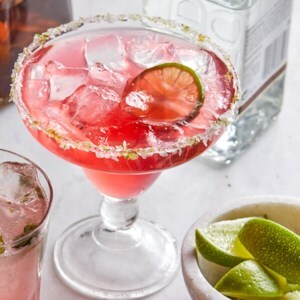 Make a skinny margarita without added sugar. 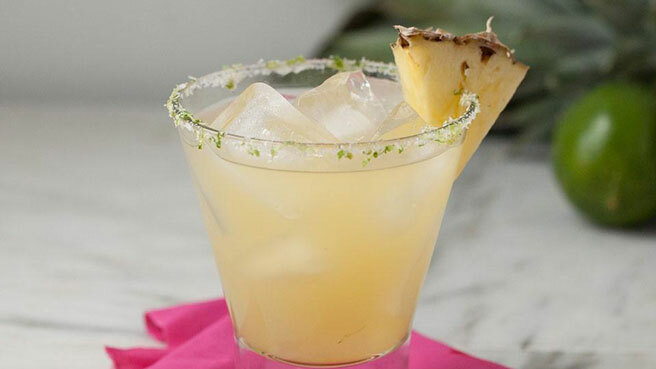 Pineapple juice and freshly squeezed citrus add plenty of sweetness for a healthy cocktail. 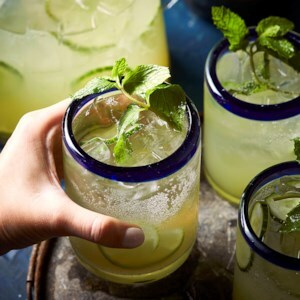 Freshen up your margarita with the cool taste of cucumber. You can make it your way, with or without sugar or alcohol. 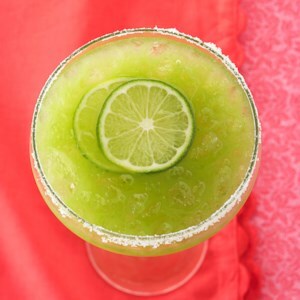 Avocado in a margarita? You bet! 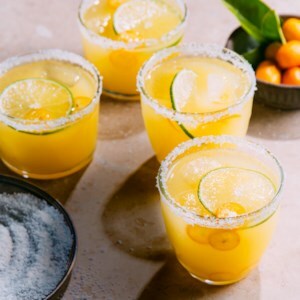 It lends creaminess and beautiful color to this refreshing blended cocktail that's perfect for serving on taco night. 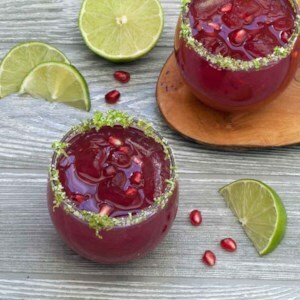 Drink your vegetables at happy hour with these beet margaritas, also known as "margabeetas." These cocktails get their gorgeous pink hue naturally from inherently sweet beet juice. You can buy the juice in the produce section of most grocery stores, or juice your own at home. 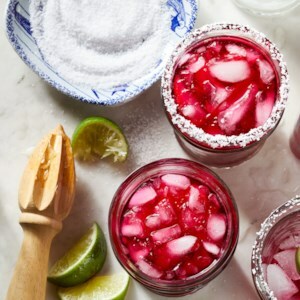 Amp up margarita night with a quick homemade simple syrup that packs a brilliant pink hue from dried hibiscus flowers. Serve with guacamole topped with pomegranate seeds and lime tortilla chips. 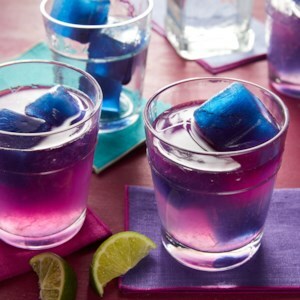 Pour homemade margarita mix over ice cubes made from blue pea flower tea and watch your cocktail change colors before your eyes without any artificial food dye. It's sure to be your new favorite party trick. 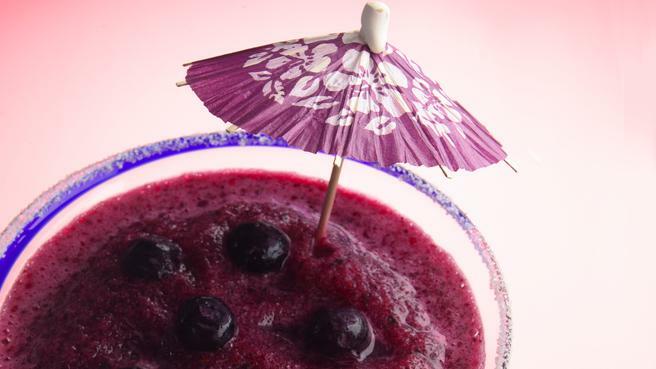 Blue pea flower tea (also called butterfly pea tea) is an herbal tea from Southeast Asia that changes from blue to purple when mixed with an acidic ingredient (like the lime juice in this margarita recipe). 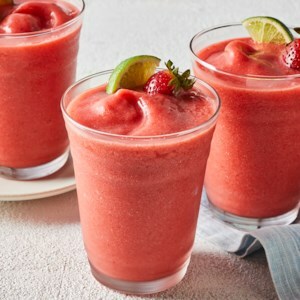 This frozen mocktail is so delicious and beautiful! 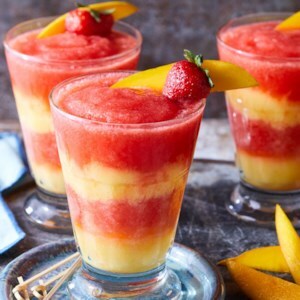 Layers of blended strawberries and mango with a touch of zesty citrus flavor combine for a fun nonalcoholic drink without all the extra calories and sugar of a traditional restaurant margarita. 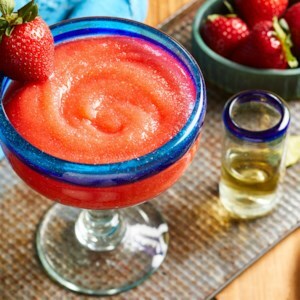 Swirl layers of red strawberry margarita with yellow mango margarita in this skinny frozen cocktail for a festive party drink that will wow your guests. 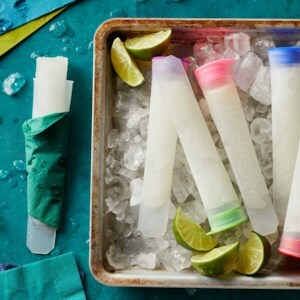 It tastes just as good as a restaurant frozen margarita, without all the sugar! 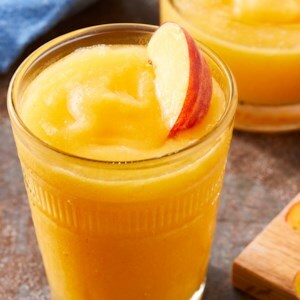 Enjoy sweet peach flavor anytime of year with this skinny frozen margarita. 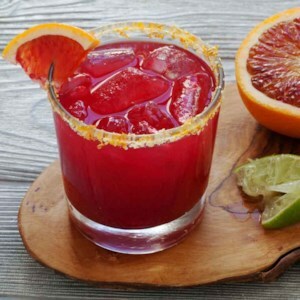 It tastes just like a restaurant version, but with less sugar, for an easy cocktail you will actually want to make at home. 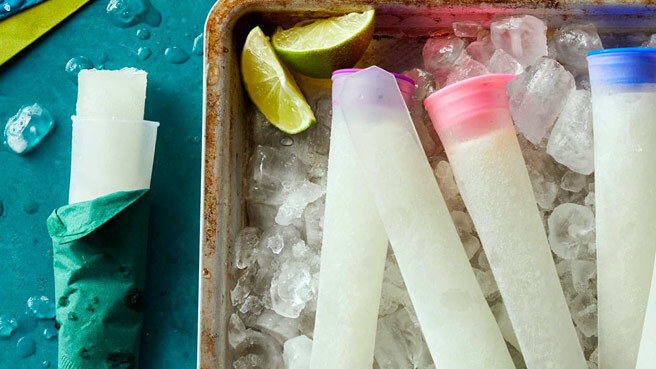 Make your own restaurant-style frozen margaritas at home with this easy recipe. 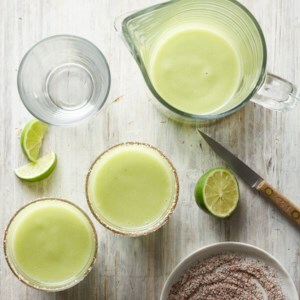 Just throw everything in the blender and whir away for this healthier cocktail that has less sugar than its store-bought and restaurant counterparts. 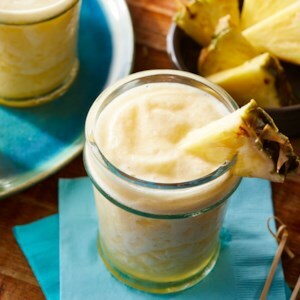 These frosty pineapple margaritas taste just like restaurant-style frozen margaritas, but without all the sugar, for a skinny cocktail you can easily whip up at home. 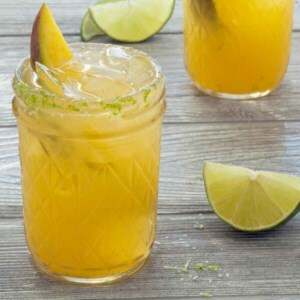 Mango adds plenty of fruity sweetness to this vibrant drink, so you can cut back on the added sugars a bit for a skinnier margarita. 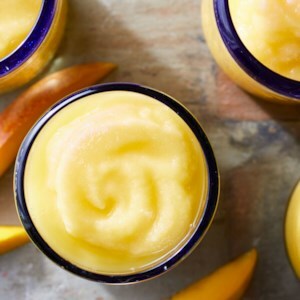 Add a slice of fresh mango to each glass to take this tropical cocktail to the next level.